All marketers are searching for that one perfect email communication that will engage prospects and customers on a regular basis. This perfect email will accomplish multiple marketing goals…more than any other communication. This perfect email will also be valued by those who receive it and enhance brand equity and repurchase loyalty. A communication piece that accomplishes all of these objectives would certainly deserve a place at the center of your marketing and communication strategy. 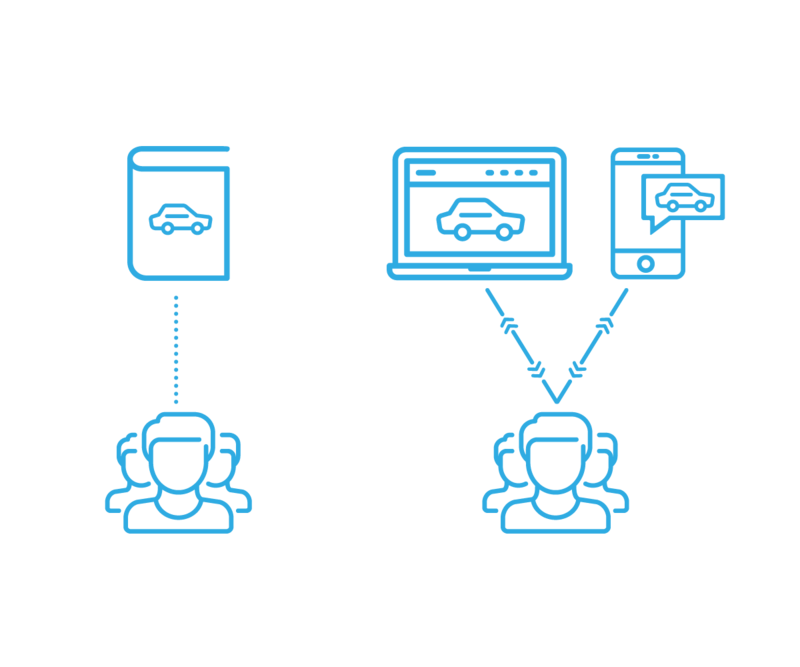 In today’s automotive dealership digital marketing, there is one piece of communication that gets pretty close. It has been around for some time and is often viewed as boring or old hat and not given the respect that its performance and value justifies. It is the dealership Digital Newsletter. Wait, don’t stop reading. At 3 Birds, we’ve sent more than 42,000 different Digital Newsletters on behalf of more than 1,000 dealerships and have studied both the results and the impact. The results which are outlined and supported below should speak for themselves. First though, let’s take a step back and set some context. OEMs originally sent out magazines to owners with a variety of stories to help build owner loyalty and retention. With the rapid growth in digital and mobile technology, most of those magazines have gone away. Some were replaced by Digital Newsletters, and others just fell victim to shifting marketing spend or budget cuts. In the magazine days, OEMs shared stories about how to use vehicles, care for vehicles, and otherwise enrich the driving-and-ownership experience – all goals that built the OEM brand and repurchase loyalty. One shortcoming of magazines, however, was that there was no real feedback on what stories were consumed and by whom. There were no signals as to which customer was in the market for what and when, unless you count bounce-back postcards. These magazines largely died because they were one-way communications, like print ads. Digital and mobile technology has enabled communication to owners and prospects to be a two-way street. We send things we think resonate with folks. They consume (click) content and through their online activity they tell us things like whether or not they are in the market, how far along they are in their shopping or service process, what they are thinking of buying, their likes and interests unrelated to their vehicles, and whether or not they value us or trust us enough to even “engage” with us. Today’s Digital Newsletter is as close to the one perfect communication as we have today in dealership marketing. 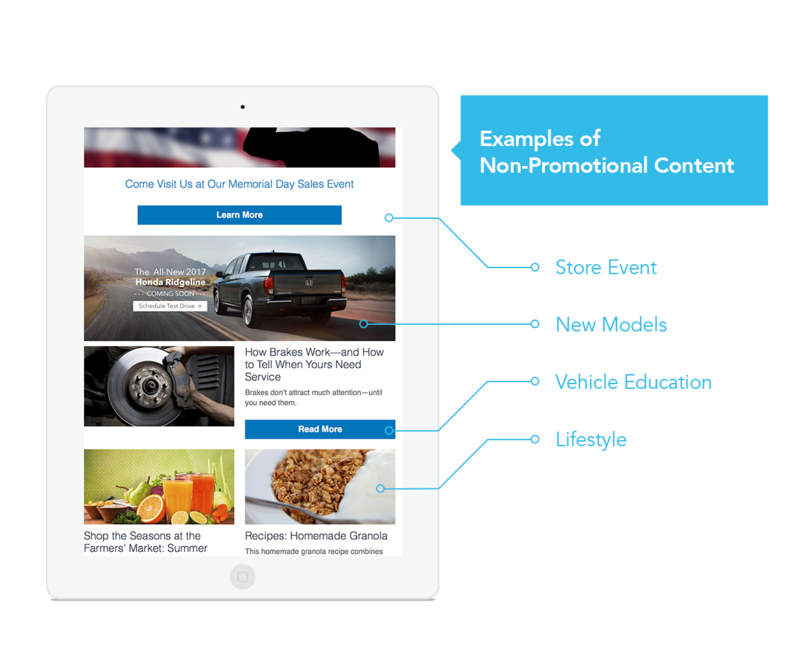 Here is our learning and the results we have seen over the last seven years with more than 42,000 dealership Digital Newsletters sent to hundreds of millions of recipients. Our analytics identifies those in the market to buy today based on how they interact with the content. For each Digital Newsletter we send, referrals make up around 15% of dealership website visits typically ranking among the top five in monthly referrals. Our newsletters consistently refer three to 10 times more traffic than leading third-party sites. Digital Newsletters consistently generate around 300 customers whose behavior online warrants dealership follow-up. Data from trusted industry sources shows that hot leads typically close in the 25% range. 3 Birds' Digital Newsletters include a mix of promotional (coupons, offers, inventory) and non-promotional (editorial, lifestyle, ownership) content. Different customers in different places in the ownership cycle and among different value segments behave differently and consume different types of content. Compared to customers who don't engage with non-promotional content. 3 Birds sends follow-up streams of communication, based on predictive models which incorporate this behavioral data along with other business and third-party data sources, to help drive the purchase for those in market now. Future newsletter content is adjusted for those in market later to keep them engaged and enhance their ownership and driving experience. On average, the 3 Birds Digital Newsletter is a top source of referral traffic back to the dealership's main website with more than 50% of that referral traffic composed of customers and prospects who have not visited the dealership website in at least 90 days. When dealerships first start sending, almost 80% of those who engage have not been active in the last 90 days. More than 60% of our newsletter views are consumed on a mobile device. Our Digital Newsletters are fully responsive and designed with a mobile-first aesthetic. 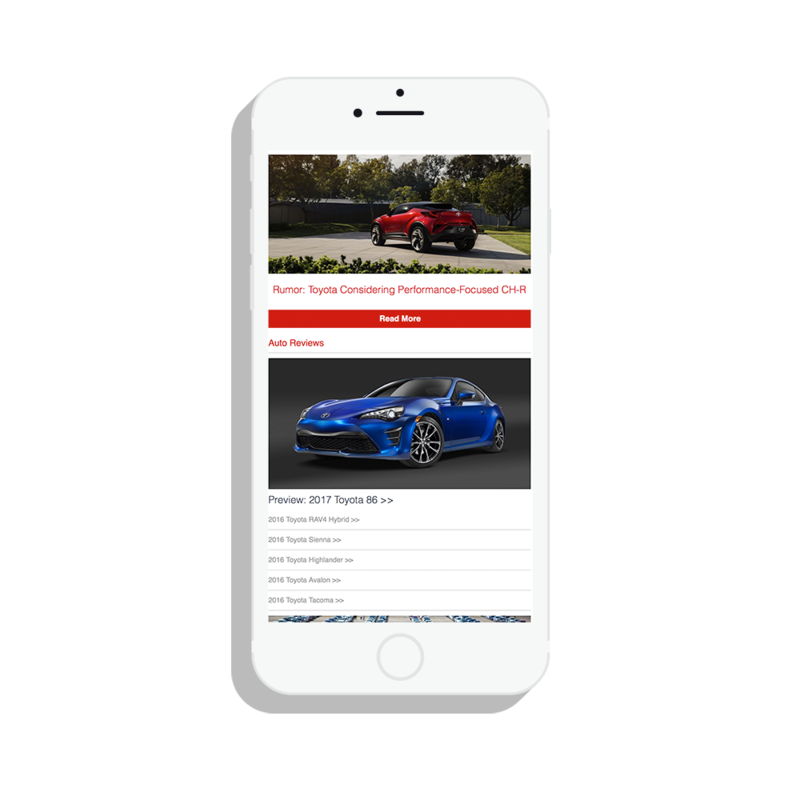 Digital Newsletters build affinity to your OEM brand, your dealership and dealership associates. A dealership’s best, highest-value customers click on its newsletter content 2.5 times more often than the same dealership’s average customers. 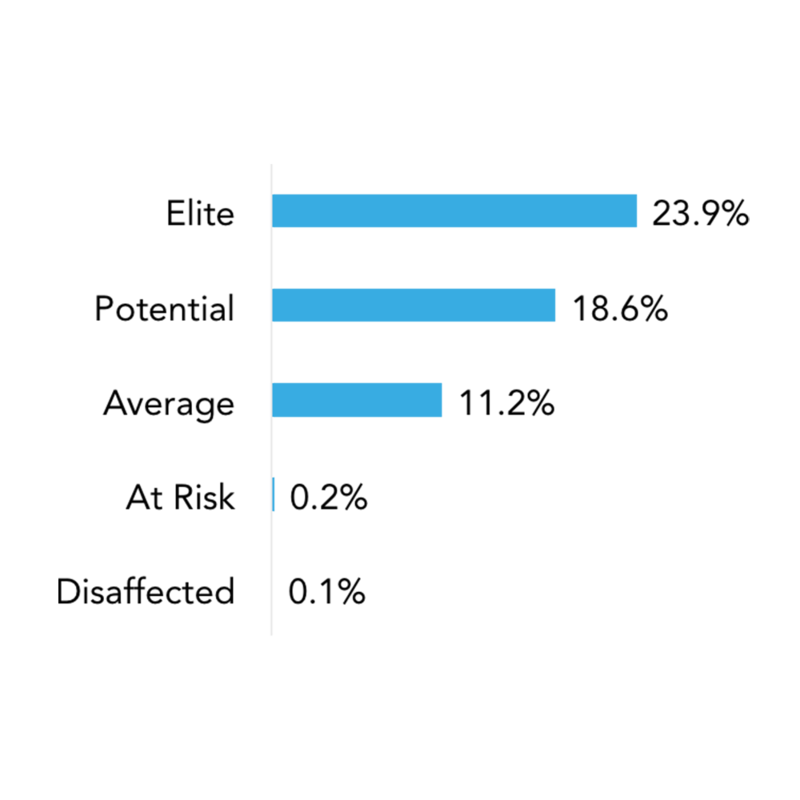 The chart below shows click rate (we call it engagement) on dealer Digital Newsletters based on five equally sized customer value (read: "gross profit") segments each representing a quintile (20%) of the customer database. The top 20% of customers, here called Elite, represent 60% of typical dealer revenue. On average, they spend over $2,000 annually (though the amount varies by brand) while the remaining 80% spend an average of just over $250. Click results show that the best customers consume the most messages and through sales and service transactions, their affinity to the store grows. Each newsletter generates enough content for at least 20 social media posts. These posts extend the reach of the Digital Newsletter content, in addition to generating likes and impressions around the dealership’s messages. Considering all of this actual, verifiable data, we can say with confidence that the Digital Newsletter is as close to the one “essential” piece of customer communication a dealership can use today. For further information, schedule a strategy session today.